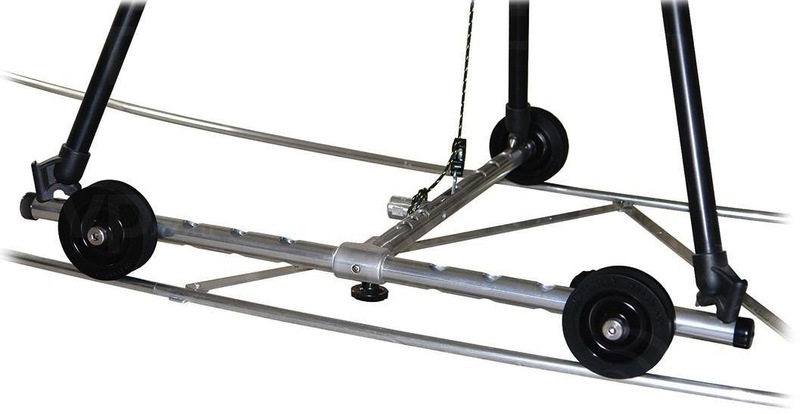 The portable MICRODOLLY Camera Dolly and Dolly Track System is purpose built for crews that must travel light and set up quick. It weighs only 10 pounds (4.5 kg) and fits into a Soft Case only 34 inches (86 cm) long. The MICRODOLLY Camera Dolly System is precision built portable camera equipment for durability as well as ease of setup. Pads and shims included in the Kit help you set up quickly on uneven surfaces such as sand, grass or snow. 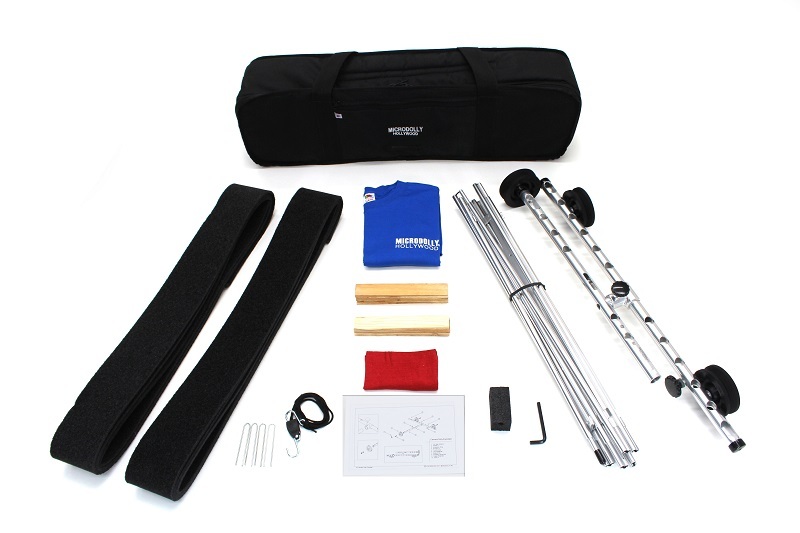 The Camera Dolly & Track Kit includes one “T”-Bar Dolly, 13 Feet (4m) of camera dolly Track, two 13 foot Track Pads, one Dozen Track Shims, one Ratchet Tie-down, one Wheel Wrench Tool, one Track Bumper and one Custom Soft Case. Straps to backpack kit are included. No tools are required to assemble. The Track is spring loaded and snaps together as it is unfolded. The Dolly and Track are made of hardened structural grade anodized aircraft titanium/aluminum and fold to a compact 30 inch (76cm) length. Rent the MicroDolly at Deck Hand Camera Rentals today!